Rinse before use. Use ¼ - ½ cup for every 50 gallons of aquarium water volume. You can place loose media inside a reactor for maximum efficiency. When using a media bag, place in an area where water will flow through it or inside a canister filter. 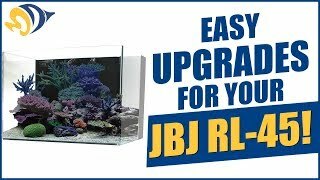 Safe to use in both fresh and saltwater aquarium systems. Water is crystal clear now. Rox carbon is the best! Rinses so quick and cleans the tank really well. not sure how much better it is than regular carbon, but it keeps my tank smelling ok and crystal clear water so i like it! This is my first time using this carbon and I don't think I will be using anything else. great quality and very little black residue was there when I first washed it before suing it. so far so good. ROX 0.8 FOR THE WIN!!! Clears up my water fast. Don't think I will ever use any other type of carbon again. Very, very minimal dust and it just plain does what it says whether in a reactor or RO use. When you'rer retired everything could stand to be cheaper, how about a senior citizens discount? Review title says it all.I have used the chlorine blocks in my RO and they don't work any better than the ROX. Never shows chlorine and gives me a better TDS going into the membrane than the carbon blocks. Never buying any other carbon unless they improve this stuff.